Howard M. Patrick, photography, Rt.1, Box 356, Oswego, Ore.; phone Oswego 5891. 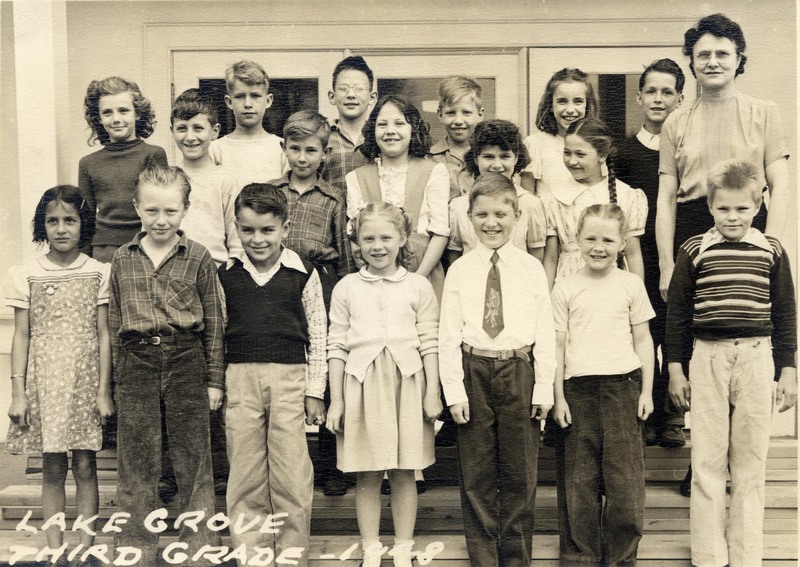 Description [on front] Lake Grove, third grade, 1948. Transcription Howard M. Patrick, photography, Rt.1, Box 356, Oswego, Ore.; phone Oswego 5891.